Escape rooms have been around for a long time. You can find them in museums all over the world, challenging participants to solve a series of riddles and clues in order to solve a mystery and break out of the escape room. Some escape rooms are very complex, involving U.V. lights, multiple locks, special codes, and tools hidden everywhere. Others are simpler and cheaper. Check out this video of a news team trying to break out of an escape room to give you the idea. As you can see from this video, you can make an escape room as complex as you want, and as expensive as you can afford. But you can also keep it simple and make it free. 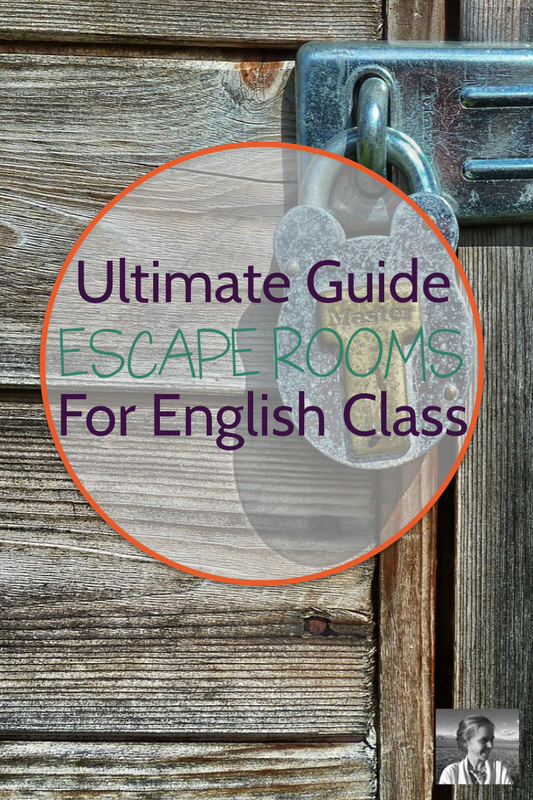 Let’s quickly consider a simple example of how the escape room concept could be applied to your English classroom. Imagine you are introducing The Great Gatsby and you want to share information about 1920s America before diving in. You divide students into groups and give them each a short piece to read about flappers as the first clue. They quickly realize that certain words in the piece are highlighted. The highlighted words are “to”, “the”, “go”, and “back.” One at a time, the teams realize they must search the back of the classroom to find the next clue. After watching the video and learning what a speak easy is, students rush to the door and find you there, ready to hand them their next clue. When they whisper “jazz age,” you give them a short paragraph about the jazz age and a set of song lyrics from a 1920s jazz song. Together with their groups they read the paragraph and comb through the lyrics, trying to figure out what the secret is. Finally, they realize three letters are bolded: “k”, “y” and “e.” At the bottom of the lyrics the clue is “Find it where words begin and you’re almost there.” Students realize they can rearrange the letters to spell “k-e-y” and look around for where words begin. After examining your computer keypad, a box of pencils, a dictionary and several notebooks, they find a small key in the chalkboard dust tray. On the keychain tiny letters spell "look." They race madly around the room in search of a lockbox, and finally find one under your desk. They open it to discover confetti and Smarties candy. You snap their picture with the open box and have them return the key for the next group, then give them their new copies of The Great Gatsby. I know, I know, thinking through all the steps and laying them out sounds intense. But the more you begin trying to imagine how to mix clues into learning, the easier it seems. Plus, every time you create an escape room you have one you can use forever, to engage hundreds of students in the coming years. If you're going to D.I.Y. your own escape room, here's a list of component ideas to help you. Introduce context for a novel or poetry unit ("Roar your way through the 20s", "Find your way through the woods with the Transcendentalists," "Abandon the Search for Truth with the Postmodernists"
Help a character "escape" from something ("Help Ponyboy Escape Judgment," "Help Emerson Escape Mediocrity," "Can Austen's characters Escape Primogeniture?" Tour important concepts ("The Literary Devices Escape Room: Learn. Laugh. Leave." "The Amazing Annotation Escape: Write your Way Out." You can always hide a clue inside a reading. Put words in bold or a slightly different color that can be rearranged into a clue. Underline letters that can be rearranged into a clue. Number letters that will spell out a clue when put in order. Use technology. Students love videos, why not hide a clue in one? Have students watch a clip to learn information that will help them solve a puzzling question you put on or near the video screen. Use news articles. For example, if you are showing a newspaper article about police shootings in conjunction with a unit on The Hate U Give, you might want to give a clue like "not everyone feels the same when they see the lights in their rearview mirror." Then put the next clue on a mirror in the classroom or taped onto the light switch or a lamp. Use the material you really want covered. If you want students to learn five different literary devices, put in cards with the five devices and the five definitions. When students match them up correctly every pair of cards can have a two word phrase that helps lead them in the right direction. For example, if the next clue is under the book The Scarlet Letter on your book shelf, the clues could say "read red," "find Puritans," "alphabet color," "Nathaniel Hawthorne," and "look under." Use puzzle pieces. You can cut a puzzle out of cardboard or paper, write or draw a clue on it, and hide the pieces in several locations around the room. High End: U.V. Flashlights, U.V. Pens, Lockboxes, Padlocks, etc. Check out this article from We Are Teachers on "10 Awesome Supplies for Classroom Escape Room Activities." The links are handy if you are looking to purchase gear. To celebrate my first interview podcast (below! ), I’m giving away a few fun items to help you get going with escape rooms. 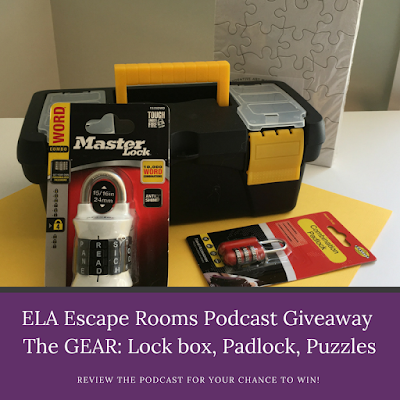 One winner will receive the gear to get started with D.I.Y.ing escape rooms – a lockbox, a padlock that takes several letter combinations, and a set of blank puzzles waiting to be filled in with clues. Another winner will receive a bundle of three fabulous pre-made escape rooms from Emily Aierstok of "Read it. Write it. Learn it. ", who I am interviewing for the ELA Escape Rooms podcast episode (below!). Now that you have some background, and a chance to win some fun gear to help you on your escape room creation quest, let's dive even deeper with Emily Aierstok. I brought her on as my first ever podcast guest because she's the one who first introduced me to escape rooms on her blog, and I love what she has to say about them. The story she tells about her escape room and how engaging it was for her students is what convinced me to do a show about this emerging teaching strategy. I'd like to highlight a couple of words of wisdom from Emily that I think can REALLY save you time and energy. 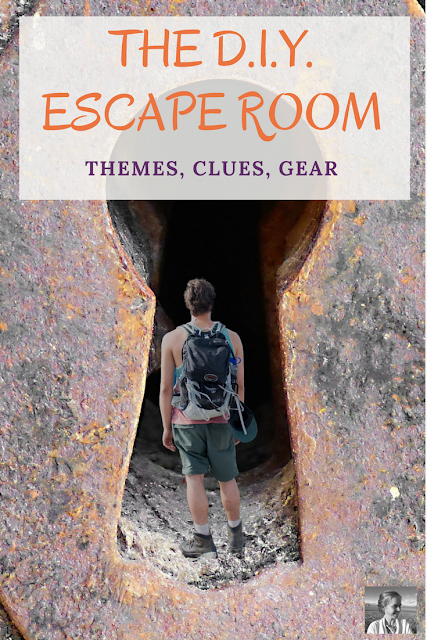 #1: Give students guidelines about how to proceed with the escape room. Ask them to take careful care of the clues and the pieces of the game so that the next group(s) will find them just as they should. Ask them to keep their work secret in their groups so everyone can have fun playing. #2: Gather enough materials at each station that students can play all the livelong day without replenishment. Emily only has three minute passing periods, hopefully you have more time than that! But still, it's nice not to have to set things back up four or five times in a single day. 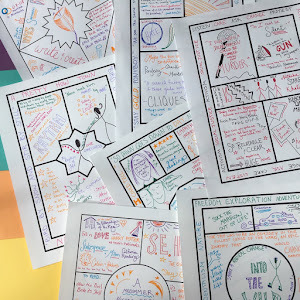 #3: Create a handout of some kind that all students must fill in as they complete the escape room, so that everyone must actively participate in discovering the answers to the clues and learning the information shared in the game. That way you get more buy-in even from those rare students who are not interested in playing and everyone covers all the territory even if they don't finish first. If you'd like to learn more about Emily, check out her fabulous site, Read it. Write it. Learn it. 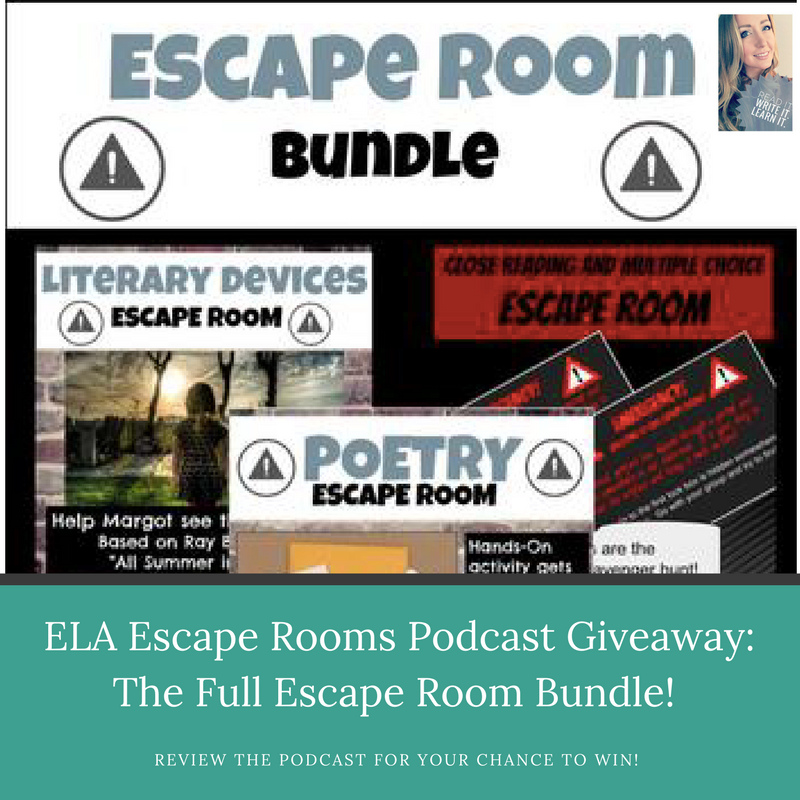 And if you'd like to dive into her Facebook group, "Escape Rooms in ELA," just click here! Finally, I'd like to offer a shortcut for those of you who have school money to spend, or want to apply for a grant. Now that you know what escape rooms are and have an idea how to implement them, you COULD buy into an escape room site that looks pretty great to me. Breakout EDU (for which I am NOT an affiliate) offers a $125 kit that buys you escape room gear but also a membership into their site and the ability to download tons of escape rooms for a variety of classroom needs. If you have a solid chunk of budget available, you might want to get several kits so that you can enable large groups of students (or parents, or faculty!) to play at the same time. You could easily make a case to your administration to buy several kits for teachers all over the school to use, as Breakout EDU has a range of types of breakouts. I'm a member of one of their Facebook groups, Breakout EDU English Teachers, and you can also find quite a lot of links to escape rooms there. Having their gear kit already makes it easier to use them, but you can always figure out a workaround. I hope you feel ready and excited to launch into escape rooms with your students! Remember, though it may take quite a bit of time to get going on the first one, it gets easier after that. And you can use the activity year after year. 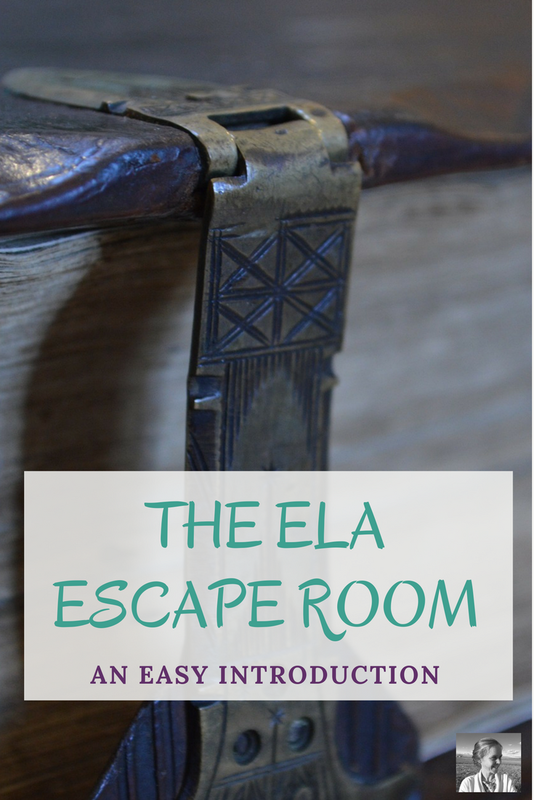 If you'd like to have access to all the escape room ideas I am always adding to my Pinterest board, "ELA Escape Rooms," just follow along below. Want more CREATIVITY in your teaching life? 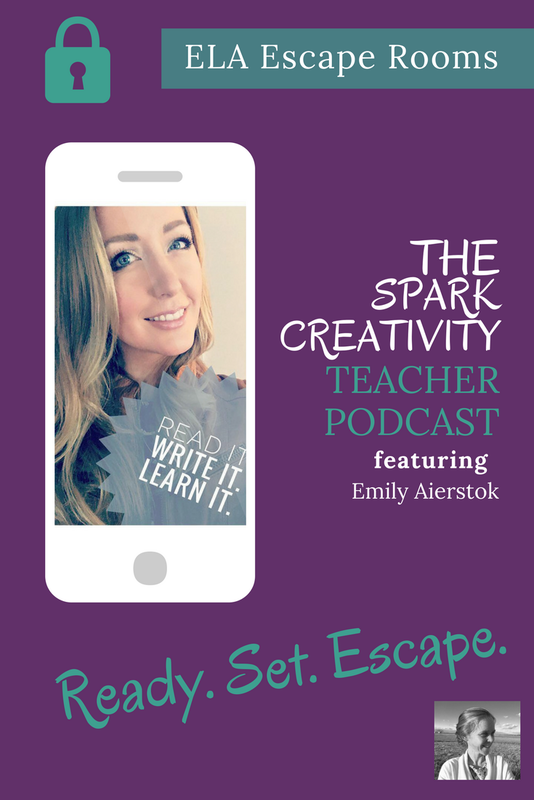 Subscribe to my Podcast on iTunes or jump into my Facebook group, Creative High School English. Can't wait to connect with you! Love your tips and ideas! I'm looking to try and figure out how to do a breakout for my high school seniors for Hamlet. Trying to make it fun for them!!! Thanks, Melissa! I'm so glad! Did you get the breakout put together for Hamlet? I'd love to hear about it. For those of us who don't have the time or money to buy all of the materials for physical escape rooms, digital escape rooms are extremely convenient. I did one for my kids on Google sites presenting information on the 1920s before reading Gatsby and they loved it! They worked together in our learning lab, which is 6 huge tv screens connected to separate computers. They had a blast! It sounds amazing! I love hearing that. Your learning lab sounds like a stellar resource, and how wonderful that you could design an activity that take such full advantage of it! Can New Teachers be Happy? Get the Hacks.